Symintec Industries supply all sizes of aluminum foil containers and can make the molds as our customer’s requirement, with food grade, pollution-free, environmental-friendly and recyclable, and widely used in Fast Food, baking, disposable meal box, freezing, reheating and serving. Aluminum foil containers offer some of the most versatile packaging solutions available today, like aluminum foil cups/plates, aluminum foil dishes, aluminum foil food containers, aluminum foil trays, aluminum food packaging containers with lids, disposable aluminum foil pans, disposable food containers with lids, foil containers with lids for food, foil food containers with lids, foil takeaway containers, food foil packaging. 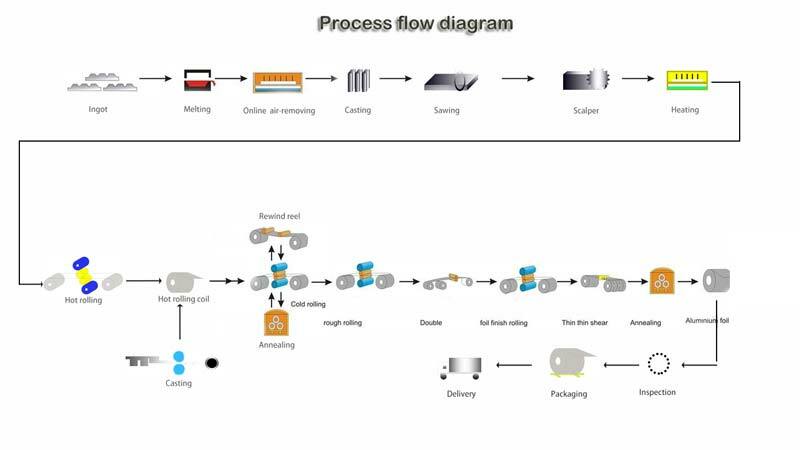 They combine the features needed to process, conserve and deliver to the consumer perfectly preserved and quickly accessed food products. Meeting the constantly evolving needs of the aluminum container market is our top priority. With fully integrated multi-plant production, aluminum containers suppliers offer container manufacturers a wide range of advanced foil specifications and a consistent and reliable supply. Our significant investment in research and development allows us to continuously optimize the performance of our container foil. An excellent example of this is the permanent work on advanced alloys, allowing foil thickness reduction without sacrificing key mechanical properties. Barrier: Container foil provides a total barrier against light and gas and protects food from deterioration. Formability: Container foil has is highly formable and can also be “dead folded,” which is beneficial when deep drawing and shaping containers. Heating properties: Aluminum is an excellent conductor of heat, and at the same time is heat-resistant, allowing quick and controlled heating of the container’s food content. Aluminum is also one of the only container serving options that is tri- ovenable, offering cooking versatility in conventional, microwave and broiler oven types. Decorative potential: Container foil lends itself to strong shelf appeal and striking package design. The material is both bright and reflective and can be color-lacquered or printed. Food contact ability: Aluminum container foil meets international mandatory standards on contact with foodstuffs. 1.Foil container series is mostly used for aviation food and cake and snack food industry, can be customized according to customer demand with its broad popularity. 2.Foil container looks beautiful, light weight, pasteurized, in line with national food hygiene standards. And recycling easy, no harmful substances in the process, renewable resources, reduce pollution, conserve resources and can be recycled with, the first choice of green low-carbon life. 3.Aluminum foil material itself has barrier properties, basically has complete gas and moisture barrier based on a sufficient thickness of aluminum foil premise. Thus, in plastic flexible packaging materials, aluminum foil is commonly used as barrier materials, and aluminum foil with a light, closed and covering good range of advantages, health and beauty. 4.Aluminum foil container surface can be coated, which is not only easy to the production, but also with more beautiful appearances. This kinds of container is not only in line with national food hygiene standard, but also adapted to the current international environmental trend. 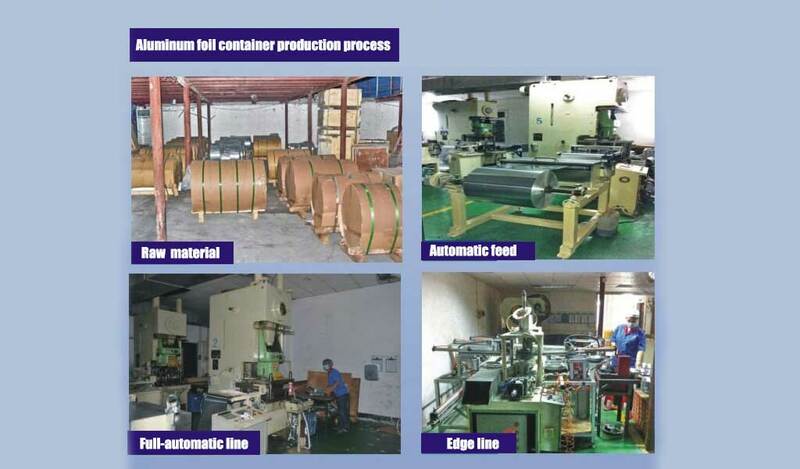 5.Foil container can be directly used for storage, packaging, barbecue / baking, molding, heating and refrigeration. Foil container can be used directly on the gas stove, oven and microwave without any danger, and bring a great convenience to people. 6.It can also be used for other non-food industries such as reflectors for lighting candles products, for chemical testing of experimental Cup series, used to hold the oil drip boxes, etc. 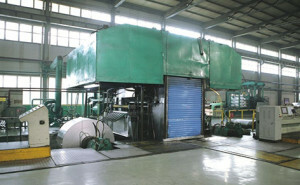 And it is widely used in many industry. 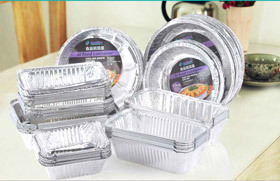 1.Aluminum composite paperboard cover in the high-side lunch boxes are widely used with commonly 270g, 350g two thicknesses, cover the edges and fold after flattening may be sealed in the box to keep food clean and fresh, which can enter the heating in the microwave oven, are widely used in abroad. 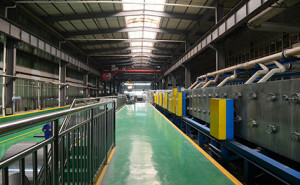 2.Plastic cover and take-away aluminum pot, take-away snack pack, is the same to aluminum foil boxes, general soft PVC plastic cover with low temperature supporting, when the temperature reached 65 degrees , will start to release a called “two Dioxin “toxic substances —— a first degree ‘carcinogenic’ substances. OPS plastic cover is recommended to use environmentally and friendly. 3.Aluminum foil material cover with thickness 0.01-0.02mm, (commonly known as foil) wrapped around the four sides of the box and can be sealed in the box to keep food clean and fresh, can enter the inner grill and microwave for heating, aviation meal is the most versatile. 4.Cover has the same processing ways with aluminum foil container, and sometimes aluminum foil lid can also be painted to increase selling. 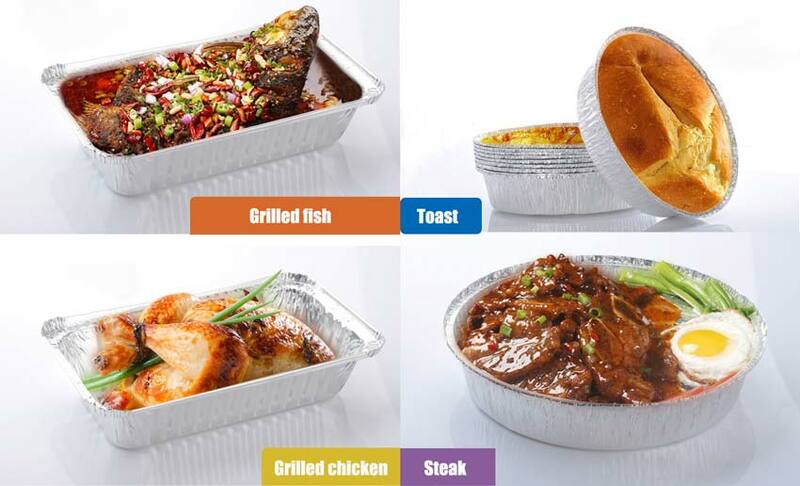 Because of the use of thick material, can also be entered to the grill and microwave oven heating, aviation meal and takeaway packed in aluminum foil are more and more popular used. Our aluminum foil containers used mainly two alloys 8011 and 3003 alloys have a thickness from 0.0065 to 0.4, the width of an arbitrary, to meet a variety of processing requirements, its performance was 8011-O state, 8011H22,8011H24 , 8011H26,8011H18 and 3003H24. materials undergo a rigorous inspection, fully meet the national standards. The aluminum foil box packing per 125 for a 1.8 C thick PE plastic bag, every eight bags into a five-layer B2B and core carton (1000 / box).